Greetings in the Mighty Name of Jesus, the Christ, our Saviour and Lord! In behalf of PLWL Officers, I would like to thank everyone for giving us opportunity to serve the women of LCP and be part of the reorganization of women in church. As deeply committed women to Christ and His Mission, let us use our strength that God has given us. Let us serve our Lord in every way we can, actively participate in our church ministries, continue studying the Word of God, be a good example to every woman we meet inside and outside of our church, teach our children to become spiritually matured Christians, a devoted wife to husband, and most especially walk in the perfect will of God. Blessing and glory and wisdom, thanksgiving and honor and power and might, be to our God forever and ever. Amen. 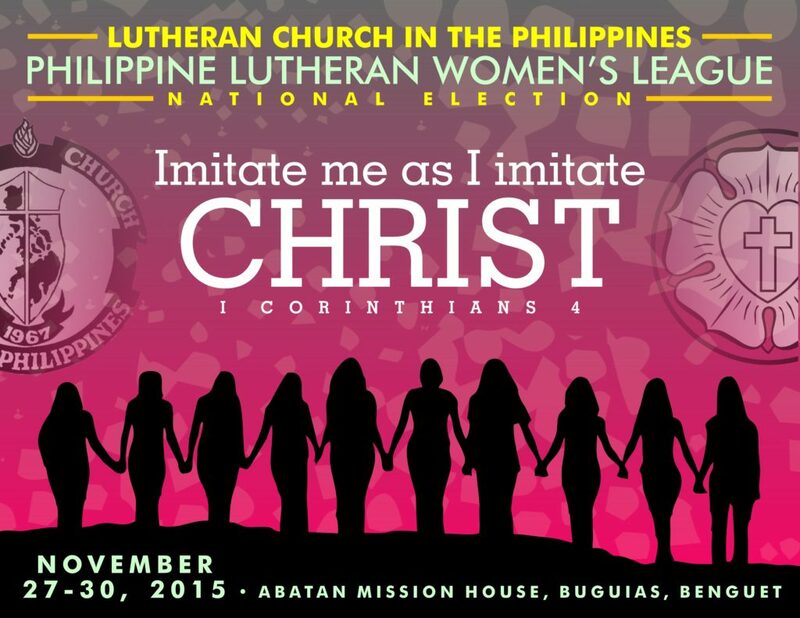 An organization of Philippine Lutheran Women deeply committed to Christ and his mission. To assist LCP in her mission programs. To strengthen fellowship and broaden our Christian knowledge through sharing,consultations,studies and social activities based on God’s word. To foster Christian love and concern by bearings one another’s burden. To establish relationship with other Christian Women Organization within and outside Philippines. Attendance and Membership in NCCP Women’s Group (Church Women United of the Philippines); etc. 1ST NATIONAL PLWL WOMEN’S SUNDAY – HELD IN MARCH 6, 2016 WHICH WAS CELEBRATED BY EACH LOCAL CONGREGATION. PHOTOS AND VIDEOS POSTED IN OUR FB GROUP ACCOUNT SHOWED THAT LUTHERAN WOMEN’S LEAGUE ALL OVER THE PHILIPPINES HAD CONTRIBUTED THEIR SHARE IN THE CELEBRATION. MOST OF OUR DISTRICTS ALSO FORWARDED THE SECOND OFFERING/DONATION FROM THEIR LOCAL CONGREGATIONS TO OUR NATIONAL OFFICE INCLUDING THE PROCEEDS FROM THE NATIONAL WOMEN’S DAY T-SHIRTS. FINANCIAL STATUS WILL BE REPORTED IN THE NEXT OFFICERS MEETING.